Russian media has said that the country’s navy will arm up to six of its submarines with ‘Poseidon’ nuclear torpedoes. The torpedoes will be first deployed aboard the converted nuclear-powered submarine Belgorod, and are reputed to have a strength of 2 megatons. The Poseidon is thought to be laced with radioactive isotopes, which could produce long-term fallout and render thousands of kilometres of land uninhabitable for decades. Japan’s Maritime Self-Defense Force is set to get a new type of patrol ship. Japan plans to build 12 patrol ships over the next 10 years to enhance its reconnaissance and surveillance capabilities in the East China Sea, including around the disputed Senkaku (Diayou) Islands. The Japanese government has also committed to building 22 new destroyers for the JMSDF by 2032. A total of 35 warships, 5 submarines, 59 aircraft and 10,000 personnel have arrived in the UK to take part in Exercise Joint Warrior. NATO members will engage in a range of air, surface, sub-surface, sea control and maritime security roles off the west coast of Scotland. The exercise will run from 20 March until 11 April. The government has announced a $2.46 billion acquisition of four modified Gulfstream G550 business jets for the Royal Australia Air Force. 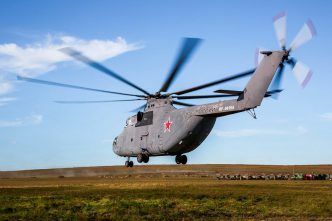 Defence Minister Christopher Pyne said the aircraft, which will be dubbed the MC-55A Peregrine, will provide a significant boost to Australia’s electronic warfare capabilities. The Gulfstream aircraft will fly out of RAAF Edinburgh near Adelaide, where most of Australia’s intelligence, surveillance and reconnaissance capabilities are based, though it’s not yet clear when they will enter service. Japan has signed a contract with Norwegian company Kongsberg to arm its fleet of F-35 fighters with the joint strike missile. The JSM is based on Kongsberg’s naval strike missile, and it is the only long-range sea- and land-targeting missile that can be fitted into the F-35’s internal weapons bay. 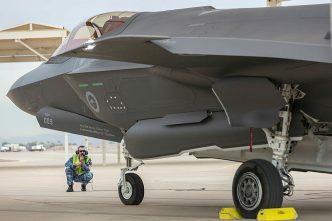 Australia, which hasn’t had a long-range aerial strike platform since the retirement of the F-111 in 2010, is also considering the JSM for its F-35s. Iran’s Islamic Revolutionary Guards Corps has reportedly launched a military drone exercise dubbed ‘Towards Jerusalem 1’. Iran’s military simultaneously flew 50 offensive combat drones on a raid of Bani Farur island in the Persian Gulf. The drones resemble the US RQ-170, one of which was claimed to have been shot down by Iran in 2011. The exercise appears aimed at demonstrating that Iran can develop its own military capabilities despite sanctions. 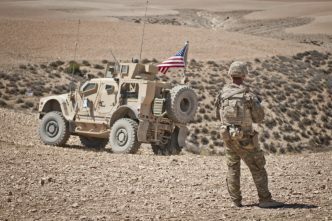 The US has denied reports that it is planning to keep roughly 1,000 troops in Syria, a shift in President Donald Trump’s original plan to withdraw all US troops from the country. The Wall Street Journal, citing US officials, suggested that the shift may be prompted by difficulties between Turkey, European allies and US-backed Kurdish fighters in agreeing on the creation of a safe zone in northeastern Syria, which was part of the original withdrawal plan. The US Joint Staff said there has been no change to the plan to draw down forces to a residual presence. US Special Operations Command has announced a US$50 million contract with gun company Barrett for the advanced sniper rifle, which will replace the precision sniper rifle for special operations snipers. The major feature of the new gun is that it can fire rounds of three different calibres: .338, .300 and 7.62 millimetres. The Greek government has announced plans to remove the €6,000 penalty for Greek men who evade compulsory military service. This will only apply, however, if they report for duty by 31 December 2020. The government said it made the decision in part because many young people have had to move abroad to work due to the country’s economic situation, including high youth unemployment. NASA has announced that it will consider using commercial ventures instead of its Space Launch System rocket to keep the launch of its Orion spacecraft on track for June 2020. The Orion is a new exploration spacecraft and a key component of NASA’s push to take humans back to the moon. The agency has been developing the SLS rocket for a decade now, but the project has been plagued by delays. Opening the project up to private firms represents a significant policy shift for the agency, but, at this stage, NASA will continue to build the SLS rocket for future use. 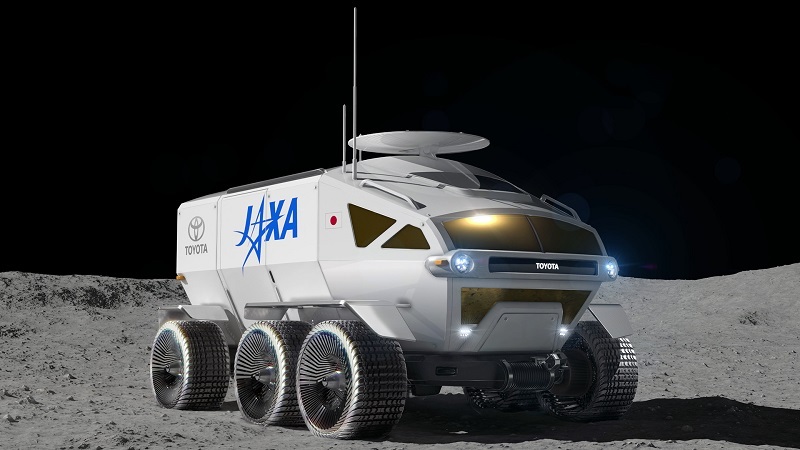 Japan’s space agency JAXA and automotive company Toyota have teamed up to build a new manned lunar rover. In a joint press statement, they unveiled the new design concept for the vehicle, which they plan to launch into space in 2029. 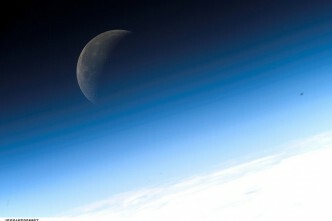 Up to four astronauts could use the pressurised rover, which will be powered by electric fuel cells and have a lunar range of more than 10,000 kilometres. In the past, fixed-wheeled rover systems have faced difficulties. In 2010, NASA’s Mars rover Spirit lost contact with earth after becoming stuck in Martian sands. To combat this, new experiments are investigating alternative ways of moving a rover up steep slopes, which will be particularly important for exploring resource-rich areas of the lunar surface. Australian cyberspace is increasingly being used as a ‘testing ground’ for hackers before they move on to larger targets in the UK and US because it has been comparatively slow to implement strong cybersecurity policies. AustCyber chief executive Michelle Price also cautioned that Australia will increasingly be targeted by foreign state-backed hackers as the government takes a stronger position on global issues. 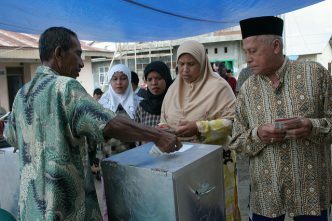 The head of the Indonesian National Election Commission (KPU) says that the elections there next month are not at risk of disruption from cyberattacks, though attempts to hack the commission’s website have been detected. An earlier media report claimed that Chinese and Russian hackers were attacking Indonesia’s voter database to manipulate and modify content, and a KPU source said that the ‘probing’ attacks are linked to IP addresses from several countries. The Blue and White party in Israel has asked the country’s attorney-general to investigate a report that claimed Iran had hacked into leader Benny Gantz’s phone and collected compromising information on him. Gantz says the report is little more than ‘political gossip’, and alleges that such information could have only come from intelligence agencies or the National Cyber Directorate, which are under the prime minister’s office. Elections are scheduled for Israel’s Knesset next month. Rhys De Wilde, Luke Courtois, Mali Walker and Genevieve Feely are research interns at ASPI. Image courtesy of Toyota.